It’s no secret that I love avocados and green tea! 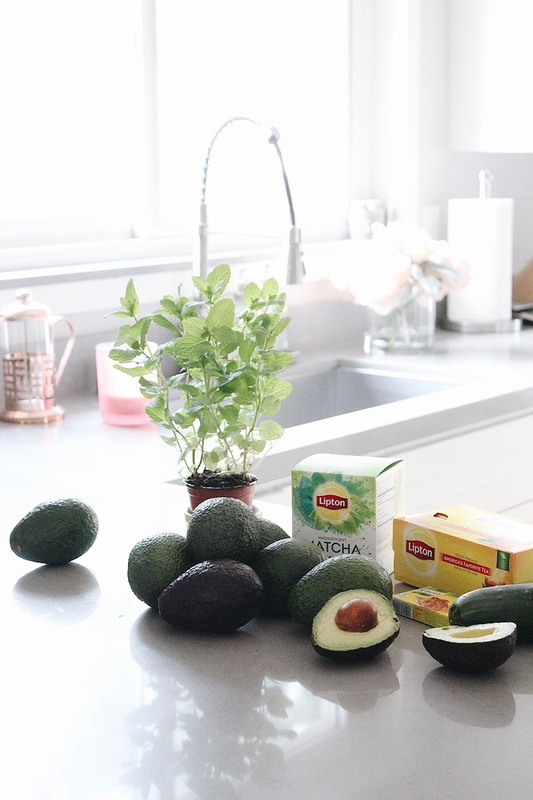 I’ve been whipping up a post workout green tea and chilled avocado soup on a pretty regular basis and wanted to share this super easy recipe with you to try as well. The mint in my usual green tea adds an extra kick of energy for me, and I love anything avocado so this soup is awesome served hot or chilled. I can put this together in about 5 minutes or less so it’s definitely a quick meal for when you want replenish and get a solid dose of antioxidants and vitamins. 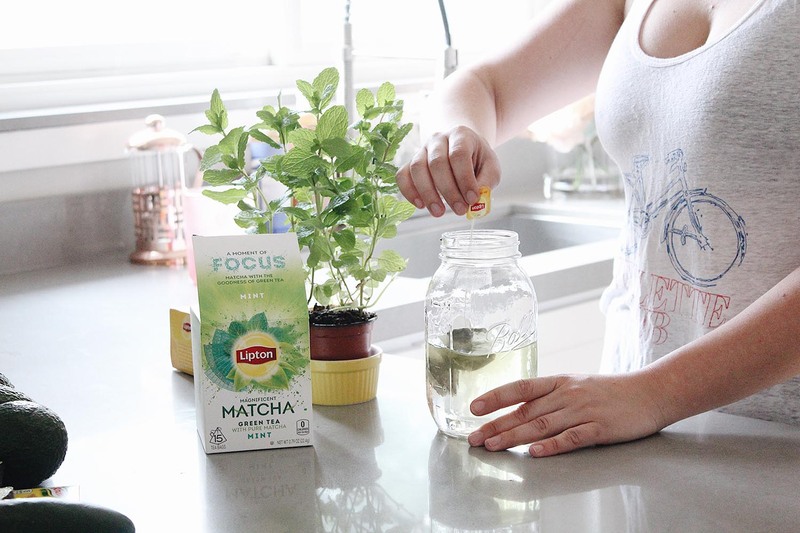 I’ll start off by making some iced Lipton Matcha Green Tea with Mint. I usually prefer tea iced (and especially after a workout I like something refreshing) so will steep my tea bags in a smaller amount of hot water to activate the tea, and then toss in a bunch of ice once steeped to cool it down. I picked up this Lipton Matcha Green Tea with Mint during a recent Safeway trip and had to try it out. 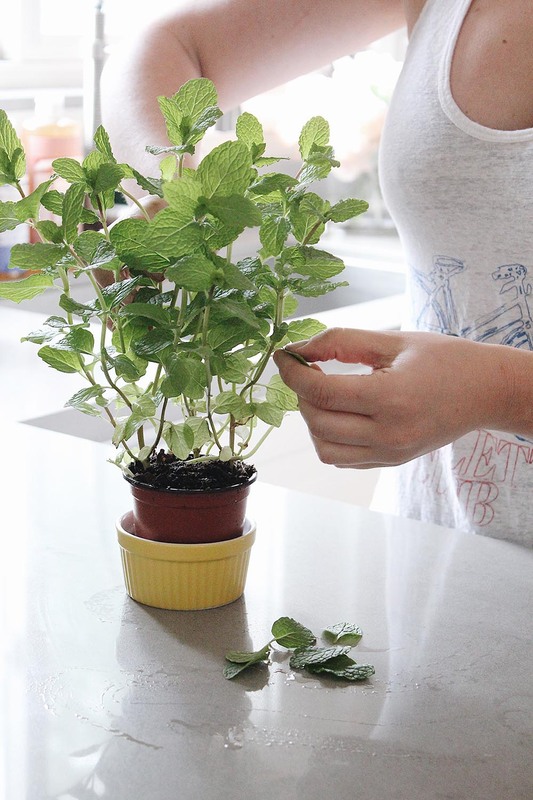 We’ve been growing organic mint in the window sill and I’ve been throwing it into everything! I’ll also use a classic Lipton tea bag too if I want an extra boost of energy. This recipe was my inspo for this easy tea. While my tea is steeping I’ll start prepping my avocado soup. It’s a very easy recipe so I eyeball all of the ingredients. 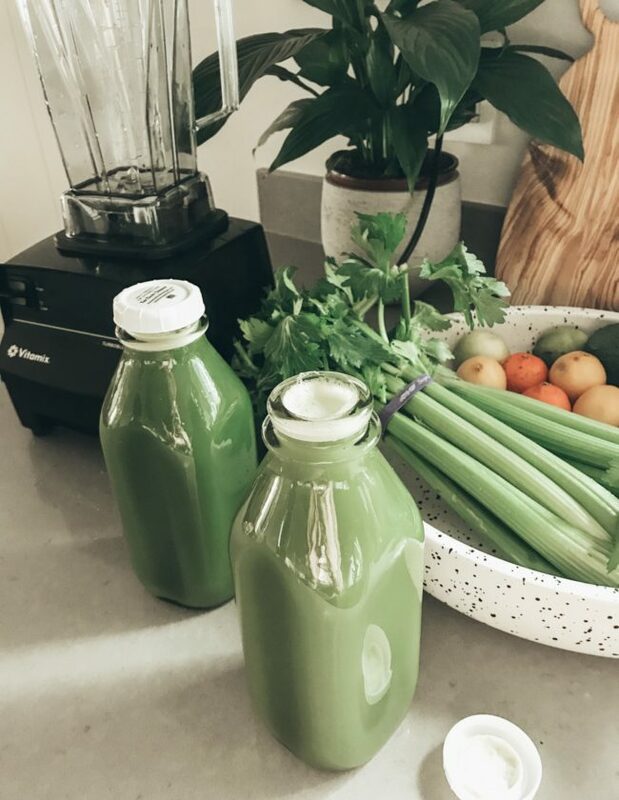 If I’m making just one serving for myself, I’ll scoop one avocado into a small blender, add about one cup vegetable or chicken broth, add a handful of sliced cucumber, and a few mint leaves (why not, it’s here in the kitchen!). You can add salt and pepper if you’d like but I find that the broth gives it a perfect amount of seasoning. Blend everything together until smooth! 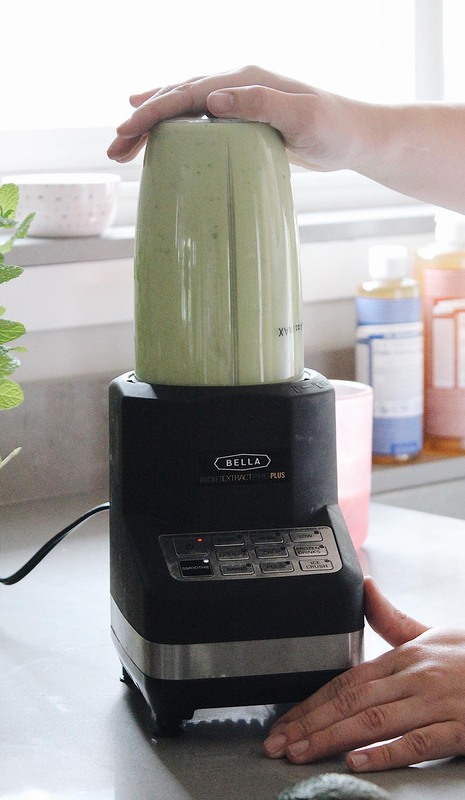 If you’re using hot broth, make sure you blend safely with a towel over the blender to avoid any hot liquid splashes. I actually best prefer this avocado soup chilled so I’ll use room temperature broth and then pop it in the refrigerator to chill. It’s also amazing hot on a cold day! 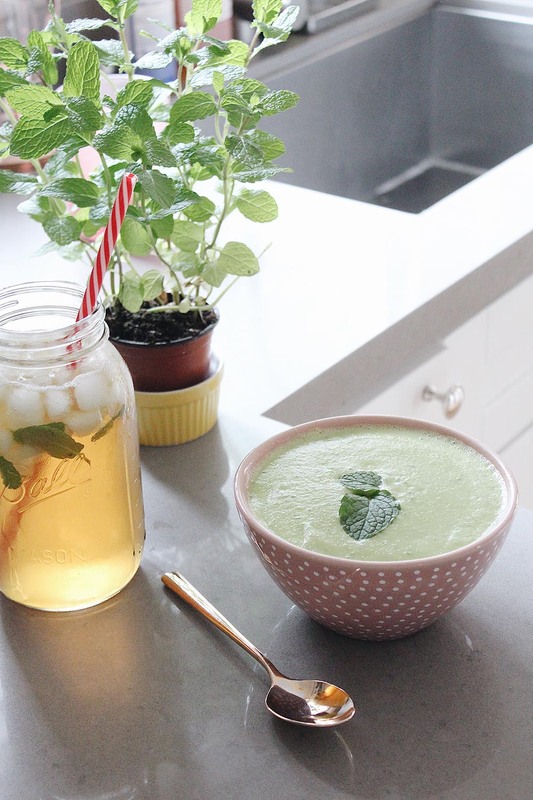 Serve your avocado soup up in a bowl alongside your minty-matcha goodness tea from Lipton and you have one of my favorite post-workout meals that is delicious, vitamin packed, and so good! Have you ever tried avocado soup before? You have to give it a try! 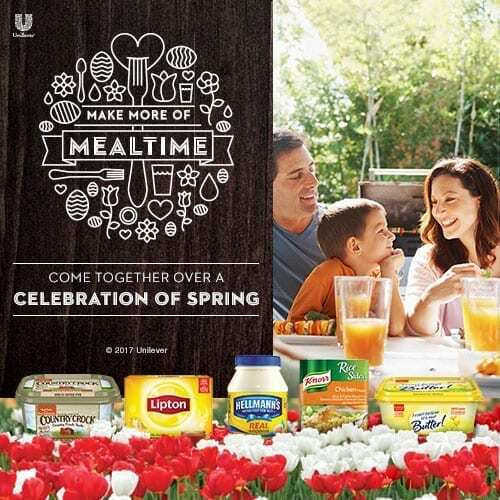 If you’re headed into your local Safeway, save $10 instantly when you spend $30” on Lipton or other Unilever items like Hellmann’s and Knorr! Love this turkey smash burgers recipe? 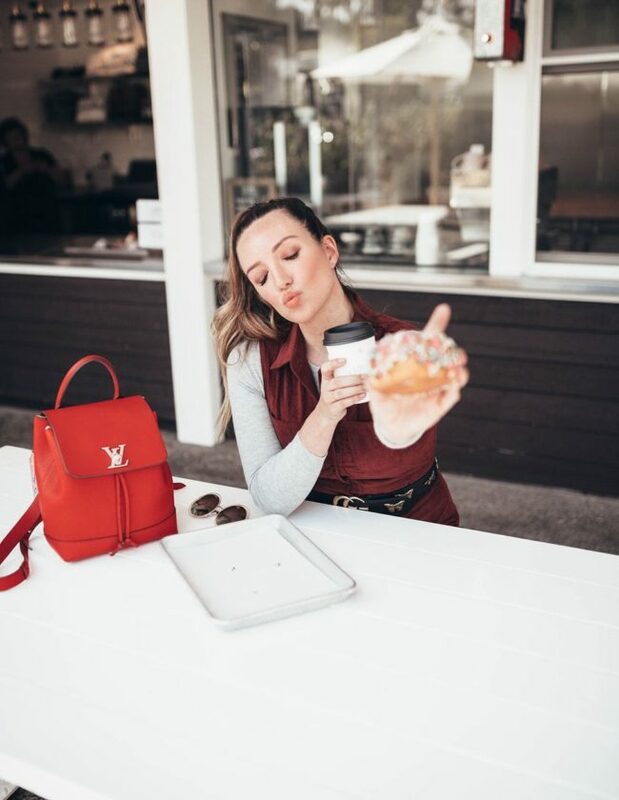 Click here now for more of my favorite foods!! This does sound like an awesome post workout snack! 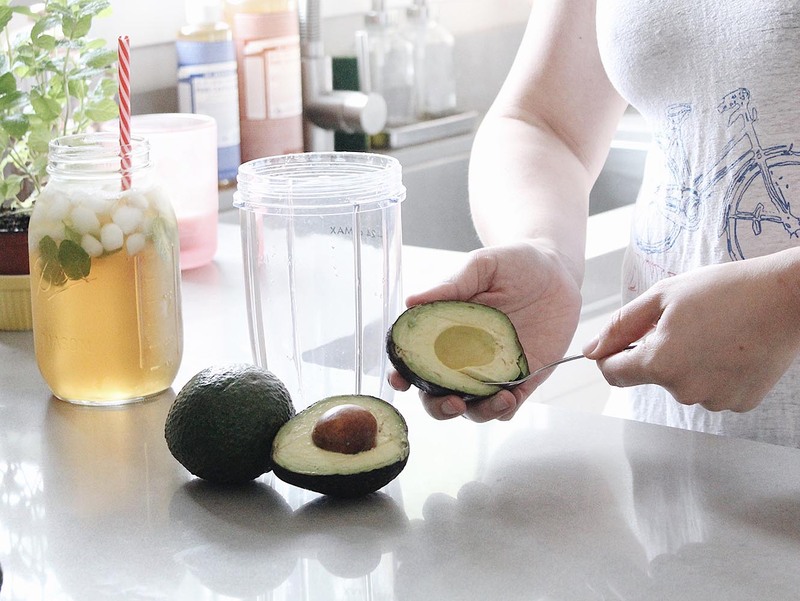 I love anything with avocado and green tea is my go-to drink all day long. Especially if it’s Lipton! That sounds so delicious! I love avocado, so I can’t wait to make this soup. 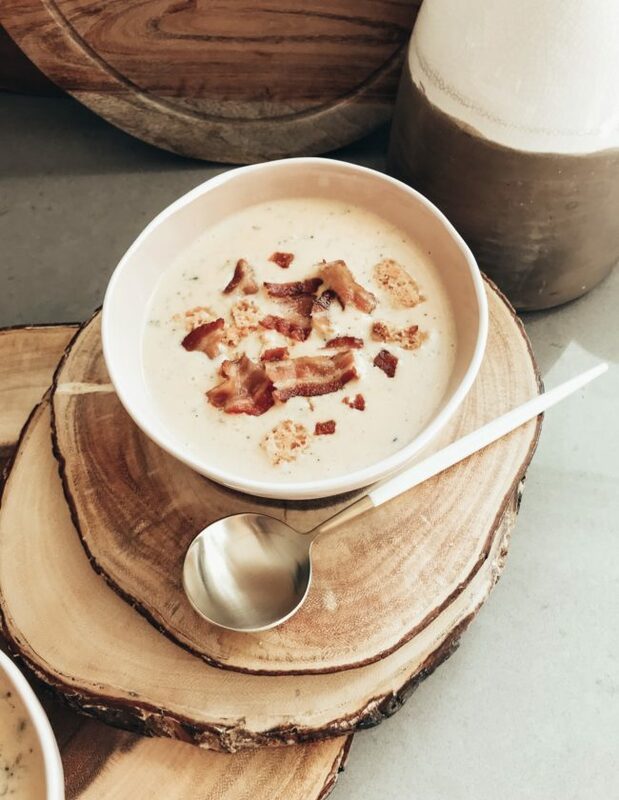 It looks like a bowl of creamy, delicious Heaven! I’ve never had avocado soup before, but I think it sounds delicious. I love how easy it was to make, too. 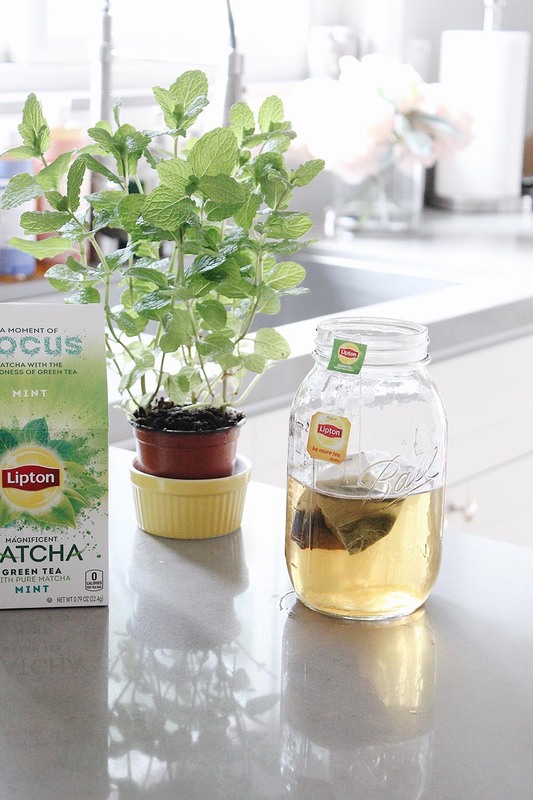 I am always trying different lipton teas and this is a favorite of mint. That sounds like such an interesting soup – I have never tried anything like it. This sounds really delicious. I love a good cup of tea to relax with. Avocado is one of my favorite foods and I’m always looking for new ways to try it. This will be perfect for summer! What color! The color reminds me of spring and St Patrick’s Day. I have a relative that loves avocado, this would be right up their alley. Wow I have not tried avocado soup before, but mint tea is certainly a good treat. I will have to try to make this combo up and see how I like it. This is a very unique approach. I will have to share this with my dad; he just started working out again after many years of gym dormancy. I also heard that, believe it or not, chocolate milk is a good post-workout drink. Oh my goodness! THIS I must try soon! 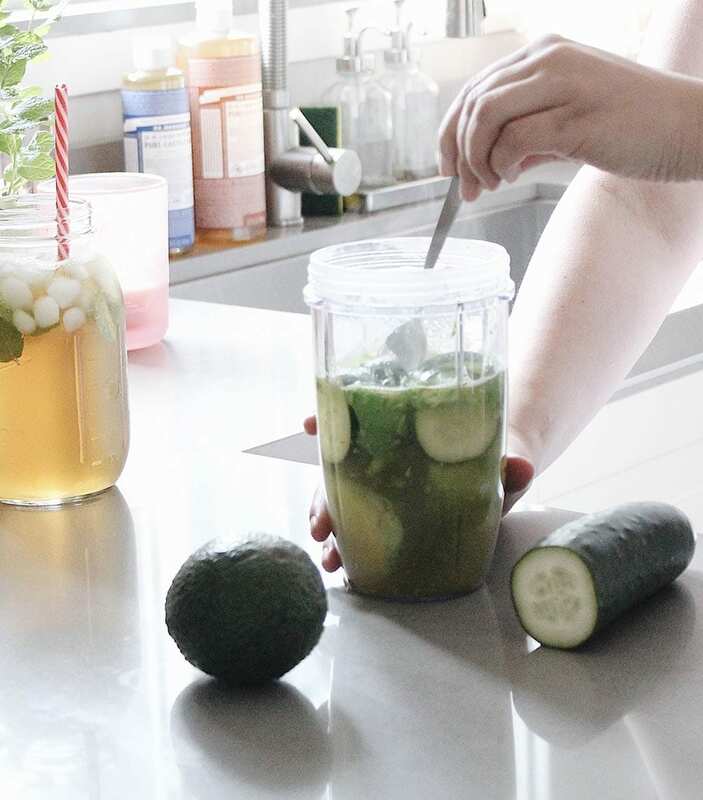 Avocado and mint are favorites! Never thought of this combination, I find it very unique and interesting to say the least. I’ve never had avocado soup before. What a great and creative meal idea! WOW! This is the kind of soup that you’d want to have in the summer! It’s definitely refreshing and it’s healthy! There’s nothing more that you can ask for. I think it’s awesome to be able to make this especially during the warmest days of the year. I’d love to keep the recipe and have this one served chilled. I’m sure my husband will love it. I recently bought organic teas with matcha and I love it! Now, this soup is a must try! I love avocados too, so I would really love making this soup!